A Profitable Business Opportunity, In the Beauty & Wellness Industry. In today’s world, where people are judged based on their looks, presentable impressions matter a lot under any given situation. More people, therefore, look into transforming themselves through complete makeovers by approaching beauty parlors and salons. With the desire to stay beautiful always in demand, the field of beautification is sure to be a profitable one. 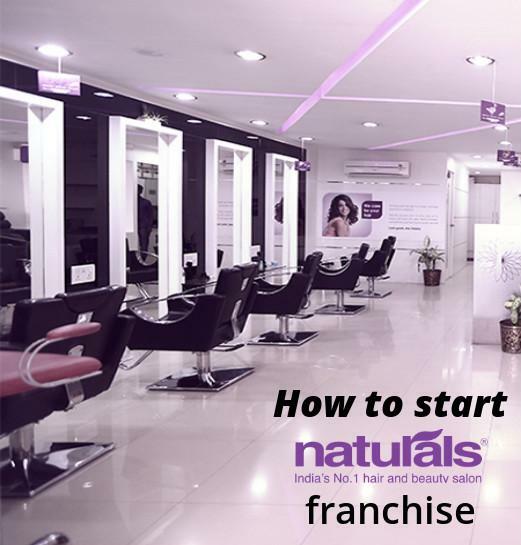 Naturals salon has 600+ beauty salons across India which are in franchise network. Since cosmetology is all about caring for one’s complexion and fairness, one would only want the best of brands to treat themselves to a high-quality service. The marketing potential for beauty & wellness products in India is vast as both men and women who equally opt for beauty, are increasing in number every day. By owning a franchise and running your own Naturals salon, you can be sure to amass continuous profitability owing to the nature of products and the high volume business prospects. Once you’ve become a franchisee for Naturals salon and subsidiary products, you can rest assured about spending a lot of effort and money on branding and advertising since the brand is already a remarkably reputable one. The high quality of the products offered by naturals makes it a preferred brand over others by millions of women and men across the country. The space requirement recommended for a naturals Franchise is minimum 1200 Sq. Ft Cash requirement to open a naturals Franchise showroom is 40 to 50 lakhs. When a Franchise showroom is opened making such huge investments, the services the Franchise gets from the parent company is astounding. Be it the training given for providing world class services in the Franchise establishments or the state of the art salon products provided to the Franchisees, it makes the Franchise owner feel out of the world giving him a confidence that success is just a door away. Naturals believe in providing high-class training to its Franchisees so that the Franchisees get an extra edge from a sales point of view. Naturals ensure the maintenance quality of its franchises by conducting periodical audits every now and then. Naturals also provide a certificate to trained Franchisees on their ability to be a Naturals salon Franchisee for providing flawless service to its customers. For Naturals Salon Franchise enquiry 89396 96100.